Melanne Verveer was the first U.S. ambassador for women’s issues, and she has some thoughts about the economic power that women have, both locally and globally. Fred Harris was a United States Senator, chair of the Democratic party and a member of the Kerner Commission on racial violence. He has some strong views about the issues of race and immigration that are still dividing the nation. And Jimmy Williams, sitting in for Bill Press, interviews reporter Jackie Kucinich about Hillary Clinton. November 29, 2015 Melanne Verveer on women’s economic power. Fred Harris tells the truth about immigration. 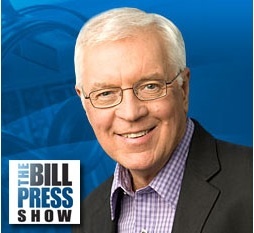 and, on the Bill Press Show, Jimmy Williams and Jackie Kucinich discss the latest on Hillary Clinton. Melanne Verveer The country’s first ambassador at large for global women’s issues, Melanne Verveer, explains how women’s economic power goes beyond just consumer spending. Fred Harris Former Senator Fred Harris says Donald Trump is acting against the interests of the United States by opposing immigration, and sets the record straight about who the so-called illegal immigrants really are. Jackie Kucinich From the Bill Press Show, reporter Jackie Kucinich and Jimmy Williams discuss the latest on Hillary Clinton. 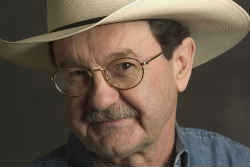 Jim Hightower Avoid Amazon's "Cyber Monday" and buy local. The Supreme Court is ready to start a new term, and commentator Fred Rotondaro reviews last year’s women’s rights decisions. Former Republican ambassador Mike Ussery reviews the world’s diplomatic and military flashpoints. And Bill Press interviews Joe Cirincione, who recently had dinner with the leader of Iran. Fred Rotondaro Remember the Hobby Lobby case the Supreme Court decided last spring? Commentator Fred Rotondaro says voters will remember, and the anti-woman agenda of the Roberts Court should be a huge help to Democrats this fall. Mike Ussery Mike Ussery is an international businessman and a former ambassador in Republican administrations. He says that a century after World War I, it might be the Ukraine that becomes a world flashpoint. Joe Cirincione Bill Press and his guest, Joe Cirincione, head of the Ploughshares Fund. Jim Hightower Marriott's shameful hotel tipping scam. Essayist Thomas Frank has a three-point plan for Democrats to use in campaigns that he says will be massively popular. Stanford law professor Deborah Rhode has a new book out called “What Women Want.” And Bill Press interviews California Congressman John Garamendi, who voted against the President on authorizing U.S. involvement in Syria. September 21, 2014 Author Thomas Frank tells Democratic candidates what to run on … Feminist law professor Deborah Rhode tells us what women want … and Bill Press interviews California Congressman John Garamendi. Thomas Frank Provocative essayist Thomas Frank says Democrats can win elections with a three-point platform that he says would be massively popular: 1) Enforce antitrust laws 2) hold Wall Street accountable and 3) do something about college tuition. Deborah Rhode Stanford law professor Deborah Rhode says the feminist movement is in a bit of a valley and needs to do a better job of informing the electorate about the economic problems facing women. John Garamendi Bill Press and his guest, California Congressman John Garamendi. Jim Hightower Trying to pervert consumer protection. It is three years until the next presidential election, but not too early to start handicapping it. Could it be the year for a woman president? Author Marianne Schnall thinks so. Democratic analyst Elaine Kamarck has some advice for Republicans – start speaking to a majority of the American people. And Bill Press interviews Eleanor Smeal, president of the Fund for a Feminist Majority. Nov. 3, 2013 Is it time for a woman president? Feminist author Marianne Schnall thinks so. How permanent is the House GOP majority? Not very, says Democratic strategist Elaine Kamarck. And Ellie Smeal talks about women’s issues at the state level. Marianne Schnall A feminist author, Marianne Schnall, interviewed hundreds of women to find out what obstacles stand in the way of a female becoming president. The answer? Nothing. Elaine Kamarck A year from the midterm congressional elections, Democratic analyst Elaine Kamarck notes that there is nothing permanent about a majority in the House in the face of large demographic trends. Eleanor Smeal Bill Press and his guest, Eleanor Smeal, president of the Fund for a Feminist Majority. 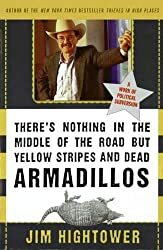 Jim Hightower Cruzing the White House?